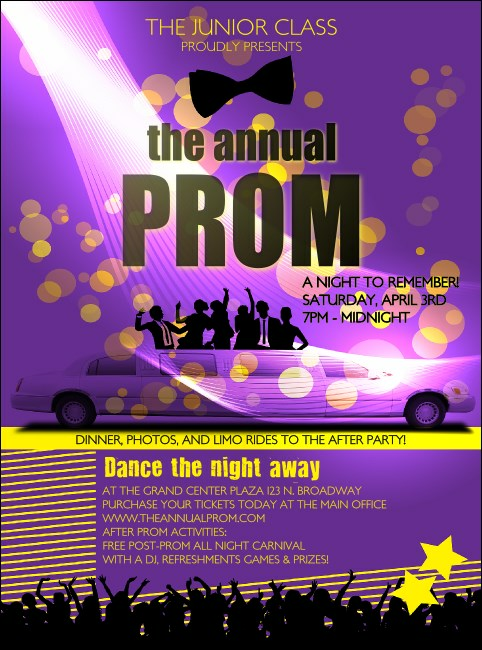 Event promotions can be fun when you use the Prom Limo Flyer! Prepare them for an adventurous evening of enjoyment when they gaze upon this template bursting with bright colors and images of a party going full blast. Fifteen text fields await your shindig's details. Find the right flyer for any gathering at TicketPrinting.com!